In the beginning, Forex trading was only for banks and large corporations. Retailers did not have access. 100000 Dollars was the standard size for trading, so only very wealthy organizations could afford to trade. Still, there weren’t many who had all this money to start trading, so brokers in the Forex market found different solutions to make it possible for average traders to enter the Forex market. One of the first facilities was allowing traders to use trade on margin or Forex leverage. There isn’t a fixed amount of leverage that a trader needs to offer. They don’t need to start trading with 100000 dollars any longer. Instead, they can open or control large trades with significantly less money. Forex mini accounts was the next great solution that brokers came up with so that the entry bar to be lowered. A mini account means that there can be multiple trades of 10 thousands, rather than hundreds of thousands. These solutions gave an impulse to traders to enter the market and start trading. A few years later, there was still an untapped market area which Forex brokers discovered. There were many brokers who allowed opening accounts of nearly 300 dollars. Those who were opening accounts with 300 dollars and started trades of tens of thousands, risked a great deal and ended up by losing. Brokers were also losing along with the traders. This is how micro trading accounts appeared on the Forex market. Throughout these micro accounts, traders can open multiple trades in many thousands. This way traders may start an account with low capital and the bar of entry stays super low. Nevertheless, they can diversify more by using less leverage. Some brokers allow opening account with even 50 dollars, but it is advisable to start with at least 500 dollars. This amount is an ok amount to start with, but it would be even better if one started with 1000 dollars. Being under-capitalized is not a good thing when starting on the Forex trading, so more capital is much safer. If you are a beginner on the Forex market, don’t throw yourself to more trades at the same time. Take it step by step with one at a time. There are many opportunities out there, when trading, that is true, but you may very well fall into a trap. It is good to consider other opportunities, but only when you are sure you can afford them. It is always good to set limits. Although may sound foolish, actually it is a very important strategy. These stops don’t need to be tight, but based on the evaluation of the trading potential. Set the stop to that value of the price that in case it is reached, it would mean your trade was wrong. Having a trading journal is another good idea. This way you’ll have a clearer image about your trading history and the decisions that you made in the past, the reasons behind those decisions and what you should or shouldn’t do next. You can easily figure out patterns of winning and losing. 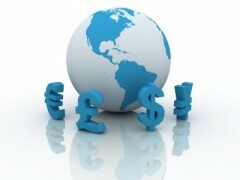 Micro accounts are a very good way for your Forex trading start, just like being in a nutshell. Although the risk remains, you’ll be able to manage it much easier from a micro account. There are people, of course, who don’t see the sense in opening a micro account when there are standard accounts available. What they don’t understand is the importance of gaining experience in Forex trading bz using a micro account, without taking such great risks as in using a standard account. Even if you are an experienced trader, you can use the micro account to test some new strategies, so you know exactly how much to trade through the standard account. By doing this, you can avoid losing a great amount of money from not anticipating the market’s reaction. The micro account still gives the opportunity of accessing the same available resources as in standard versions. This is why Forex micro accounts gained popularity among learners who want to start trading in the Forex market and need to get familiar with reading and understanding the charts. Demo accounts are another way of learning about Forex trading, but they do not offer the same psychological involvement as there is no risk with those.